With the beauty world discovering CC creams, BB creams are still at the forefront & capturing the market. 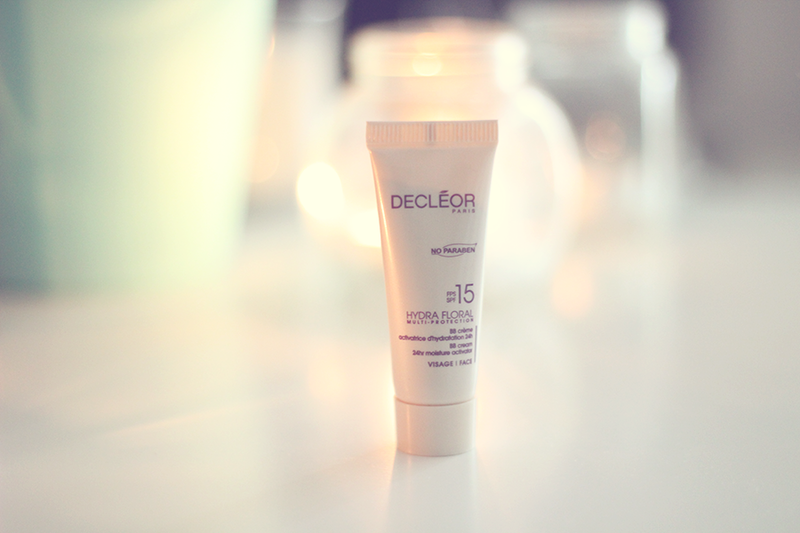 Decléor is one that has just launched a new BB Cream, 24hr Moisture Activator has been put into Decléor's Hyrda Floral Multi-Protection skincare range. Having only used the Aroma Cleanse eye make-up remover which I adore, I think was having a rough skin time due to a product I was using and wanting to hide away in my bell tower, I decided well isn't this the best time to try this out. So how did I find the beauty professionals 'Secret Weapon'? Firstly it only comes in one shade, the claim is, it's meant to adapt to every skintone. 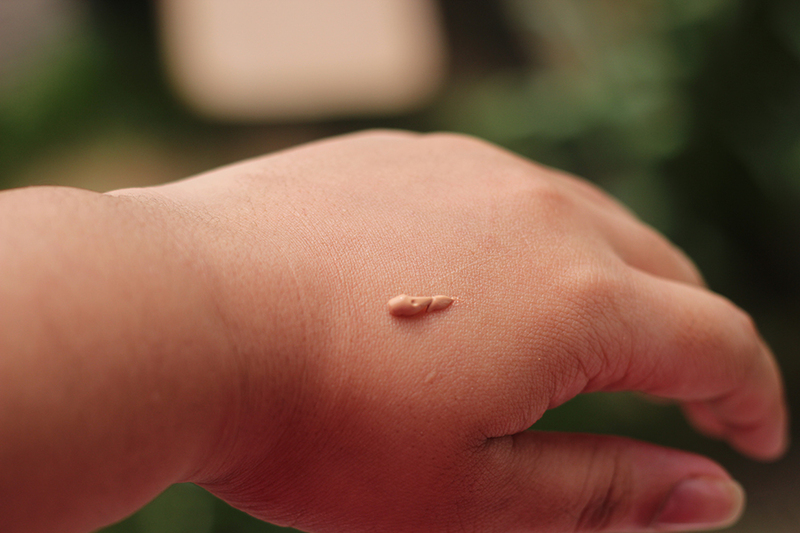 Reminds me of The Body Shop BB Cream which also does this, that one is a grey shade with beads in whereas this one is just a light brown smooth cream. It smells floral, which I'm guessing is what the Hydra Floral collection scent. Below I will show you in daylight how it looks on my hand. 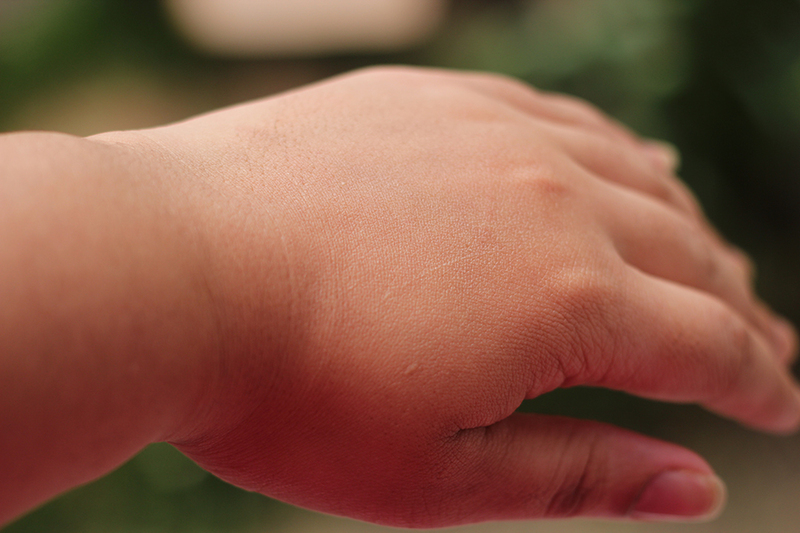 I'm a bit darker on my hand than on my face so it gives you an idea of how the shade adapts. There's a smooth coverage, it's even and light. The texture itself is easy to blend. I use my hands to apply it on my face. 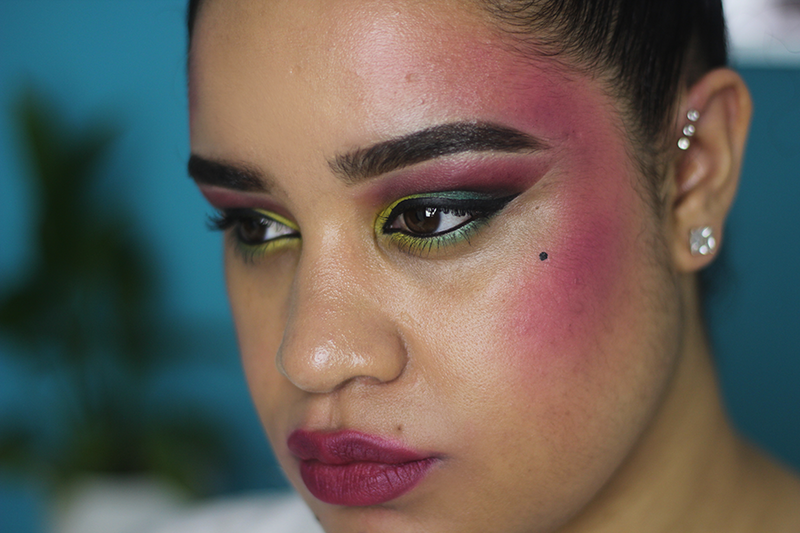 I was listening to an 80s mixtape and this happened but of course this is a look I would normally do with foundation. With a lot happening with the blush and eyes, I'd want a base that can withhold all of that. Shockingly I liked the BB cream on with this look but with dark spots it can make them look a little ashy. It's definitely a nice one for the Summer, a little costly for a BB cream at £29 but even with the sample tube I had I noticed you don't need to use a lot. Available exclusively on QVC throughout April 2012, goes nationwide May 1st on www.decleor.co.uk, Decléor spas, salons and selected department stores. Loving the 80's rock look!!! great post... I would like to point out that I do this look every single day for work but you have done it much more subtly here than I do. I just needed to let you know! I've given up on BB creams, it's all about the CCs for me now! And oh my word! LAAAARVE the 80s look!